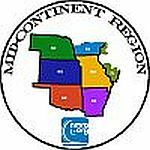 June 20-23, 2019 the Chisholm Trail Division of the Mid-Continent Region of the NMRA will present the 2019 MCoR Convention. Most Clinics and Activities will be held at the Doubletree Hotel, Airport, Wichita, Kansas. Conveniently located on Wichita's West side, right next to the airport for all's convenience. More Information Coming Soon, So Please Check Back Often ! !